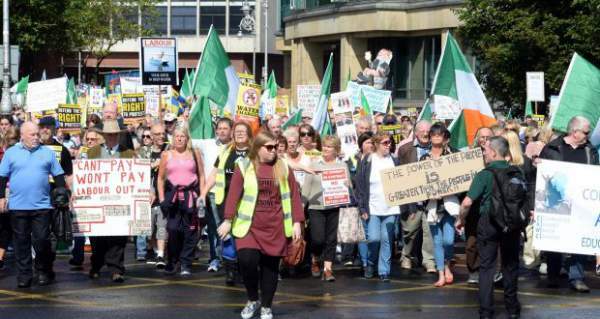 Professor Sean Barrett has stated that Ireland will have to face legal fines for scrapping water charges. If they don’t want to face it, then they will have to keep it intact. This advice of Professor became public when he gave it to the Irish Water while following details of the case. The utility company stated legally that there is no chance under European law under which the nation can put a hold on to or can dismiss the charges. The water issue is dividing the government in pieces and presenting a hurdle in forming the next government. As per the statement of Prof. Barrett, Ireland will be liable for substantial fines if the EU decided to take the matter to the court. “Ireland could be hit with a large fine and then a recurring daily penalty. The fine could be a minimum nominal amount of €1.5 million and the daily penalty could be €5,000 per day minimum,” he said. Further, he said that there are no loopholes in the EU directives and the “established practices defence” can’t be applied. “Unfortunately for Ireland we got rid of our no water charges policy in 2013 when Irish Water was set up. Legislation was introduced on water costs and there was widescale installation of water meters,” he said on RTÉ’s Morning Ireland programme. “That defence is gone and we now have an obligation and it applies to us the same as to all other EU member states. Prof Barrett said Ireland also made the commitment under the bailout programme. “There are strong incentives, financial reasons to comply with the EU directives. We lost the derogation, we gave it away voluntarily,” he said. Under the EU water framework directive pricing policies must be introduced which include adequate incentives for customers to use water resources efficiently. “There has to be an incentive built into any charges to use water efficiently. A flat rate is not in compliance with EU law,” Prof Barrett said.